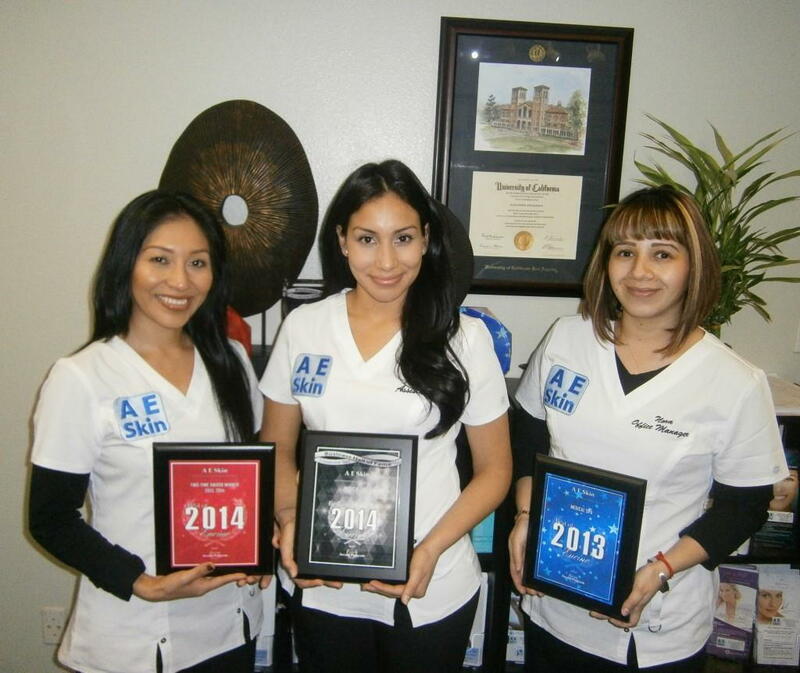 A E Skin has been named Best Medical Spa in Encino, CA for the second year in a row by the Encino Awards Program. This is an annual award honoring accomplishments and achievements of businesses in Encino. By winning the award two years in a row A E Skin has been inducted into the Encino Business Hall of Fame. A E Skin is proud of our accomplishments including these awards and we know that it is only possible through providing outstanding service to our patients. A E Skin is a professional medical spa located in Encino, CA offering a variety of skin care treatments and products. The A E Skin philosophy is to treat each patient individually. After all, everyone’s skin is different. Following a comprehensive evaluation, Dr. Alex Eshaghian, MD, PhD designs a personalized plan specific for each person. At most medical spas, patients are treated by nurses or aestheticians, but at A E Skin you will see the doctor every time. Dr. Alex has performed thousands of treatments and his goal is to make people look and feel their best using a non-surgical approach, leading to outstanding results with minimal recovery time. At A E Skin we focus on providing outstanding results as seen by our before and after pictures. Additionally, patient satisfaction is a top priority, which is why we have so many outstanding reviews on sites such as Yelp and Google Plus. Comfort, convenience, and customization are what sets A E Skin apart from other medical spas. We always use products such as numbing cream, ice, and cold air to keep patients comfortable throughout their treatments. We are available on evenings and weekends for those who can not take time off from work. And we always take high quality before and after pictures so patients can see their own transformations.